I recently came across – and warmed to – a suggestion by Daniel Hardy (Finding the church, SCM, London 2000) that “we need to learn to think of Christian faith as by nature spread out, as something extended by its spread-out-ness.” This contrasts with the traditional tendency to think in concentrated terms, focusing on Bible, church, beliefs, certainties, and it appeals to Alison Webster, who in her introduction to a book on the church and society warns readers of her own preference for “theological ‘spread-out-ness’”. Webster goes on: “Some readers will no doubt think it so spread out as not to qualify as ‘theology’ at all.” (Wellbeing, SCM, London 2002) But she also quotes theologian Stephen Pattison who characterises contemporary theology as “a kind of whispered conversation on matters esoteric conducted in a foreign language behind closed doors in a distant attic” (Political Theology journal, 2000). It is certainly true of much traditional religious language that it is not helpful in analysing contemporary issues – either for oneself, or in communicating them to our own culture. "For the Christian, for instance, the question is: how to pass into the secular world the insights of one's Christian heritage? How to tell the Christian story in that context? But also, crucially, the question must be put the other way round: how to pass back into the corporate christocentric language of the church the insights of the other languages?" Our current reading matter at Wychwood Circle is the “tumultuously challenging” Unapologetic by Francis Spufford (Faber, London 2012). Someone in the group spoke for several who can’t bear his style when she said that he wrote like a ‘smart-arse’. (Given his own free, not to say abrasive, use of language, he could hardly object to such a blunt description...) But the point was also made that this did at least make a refreshing change from pompous preachers, sentimental hymns and fervent evangelists. Jeanette's point ("The artist is a translator... ") is surely relevant to the idea of replacing stuffy old Christian language with contemporary parlance, even if the temptation is to overdo it. Spufford is using very modern (some said, juvenile) language to address a very modern audience. Maybe his primary audience is indeed our teenagers who are normally so completely switched off by any religious rhetoric. In this, we should say (in a rather quainter style): all power to his elbow! A four-letter word crops up persistently in Unapologetic, usually – and fortunately – within an abbreviation (the ‘HPtFtU’), itself a deliberate euphemism for another unacceptable word, ‘sin’. His point is that, whatever we believe about religion, we know that we do as humans have a natural propensity to muck things up. This concept turns out to be central to his argument and it has become topical this week with the current controversy over changes to the wording of the baptism in Anglican churches. The ‘devil’ has been cast out of the baptism service – experimentally at least. And not before time, given that no-one has talked of him/her/it seriously for a good many years now. Inevitably there will be a backlash from more traditional worshippers who see this as abandoning the concept of sin. Yet Spufford places this concept (or his modern formulation) at the centre of his defence of modern Christianity, and as crucial to the “emotional sense” which his title promises. His chapter heading uses the words of the singer Leonard Cohen, “The Crack in Everything”. On Sunday we continue our discussion of Spufford’s book, focusing on all or any of the final 5 chapters, from the unputdownable chapter on “Yeshua” to the final “Consequences”. 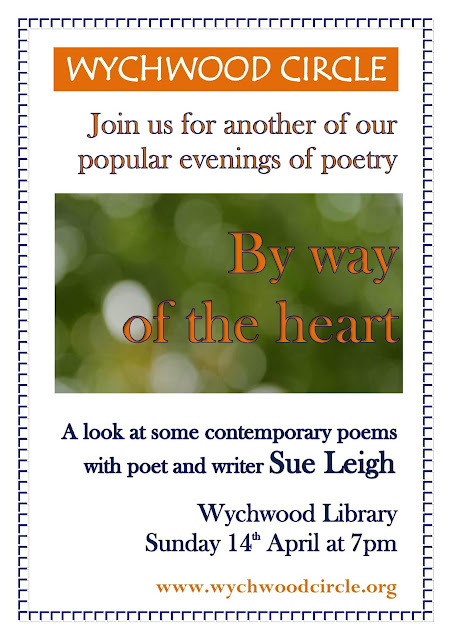 Join us at Wychwood Library (OX7 6LD) from 7pm.